Attending an employer drop-in is a great way of finding out more about a certain employer, the sector that they work in and the selection criteria that they use to recruit. You will have the opportunity to ask the employer questions and get advice about how to make the transition into a competent professional once you start your placement, internship or graduate job. 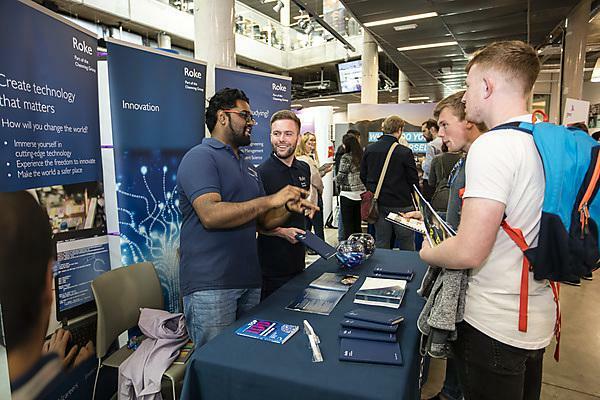 Employer drop-ins normally take place in the Careers & Employability Hub, Roland Levinsky Building, and you can view upcoming drop-ins by visiting our events calendar using the link above. We invite employers on to campus to deliver presentations to a wide range of students about their organisation as well as to promote their opportunities. It will allow you to learn about the skills employers are looking for and will give you a chance to meet employers from companies that you may be interested in working for. If you are interested in attending an employer presentation, you can view upcoming sessions by visiting our events calendar using the link above. Sessions are open to all students to book onto regardless of course or stage, plus our graduates can also come along too. To see who’s visiting over the next few weeks take a look at our Careers & Employability events calendar. If you have any questions or suggestions on who you’d like to us to invite in to talk to you we would love to hear from you - please contact either Rhys or Sarah via email: employers.careers@plymouth.ac.uk or +44 1752 587729. We hope to see you at an employer skill session or drop-in soon.